People typically associate financial freedom with having lots of money. To understand what financial freedom is, you first have to understand what it is NOT. If you have a job and you’re making huge amounts of money that help you maintain your lifestyle, take care of your family, and go on vacation from time to time, good for you. However, if you have no income when you stop working for a while and you’re incapable of maintaining whatever you had before, that means you’re not financially free. If you have a business and you’re making good profits, but you need to spend all your time running your business to keep that revenue stream running, you are not financially independent. The same goes for professionals who make big money, doctors, for example. They make a great deal of money, but they may have to work 10 to 14 hours a day to do so. Of course you can buy what you want, go abroad on a vacation from time to time, but if you stop working for ten days, you end up with a compromised lifestyle. This is not financial freedom. Similarly, if you are restricted to a location to earn huge amounts of money, you are again being enslaved by whatever it is that is restricting you. Like for example, you run a business that requires constant supervision and personal attention. That is not financial freedom. Financial Freedom is doing exactly what you want without having to trade your time for money. It is working on something because you LOVE to not because you HAVE to. Take some time out to figure out what kind of lifestyle you’re aiming for. What would it cost you to maintain that lifestyle? It’s not that complicated once you set your mind to it. Once you have that ballpark figure in your head, DECIDE on working towards it. When you work from a plan, you are less likely to be distracted and it will be easier to control yourself. It looks very obvious, but this is the first stepping stone towards achieving financial independence. There is no way around it. People always complain about not being able to save. It’s a mindset. Imagine you met with an accident or you were slapped with some taxes, you would lose money and still cope. You have to approach savings in the same manner. Saving some money and putting it in the bank really doesn’t get you anywhere. You have to invest it. You have to make your money work for you. Instead of trading time for money, start trading your money for more money. Make your money work while you sleep. When Warren Buffett was asked for the secret of his success, his answer was simply, “Compound Interest.” After you invest the money you saved, when you start earning returns from it, the crucial next step towards financial freedom is to re-invest your returns so that your income gets compounded. Now, you have your money working for you instead of the other way around. You’re entitled to all the good things that come your way. However, as somebody striving for financial freedom, you should always be on the lookout for building more income sources instead of acquiring dead assets like holiday homes or fancy cars. The key to financial freedom is building different streams of passive income. 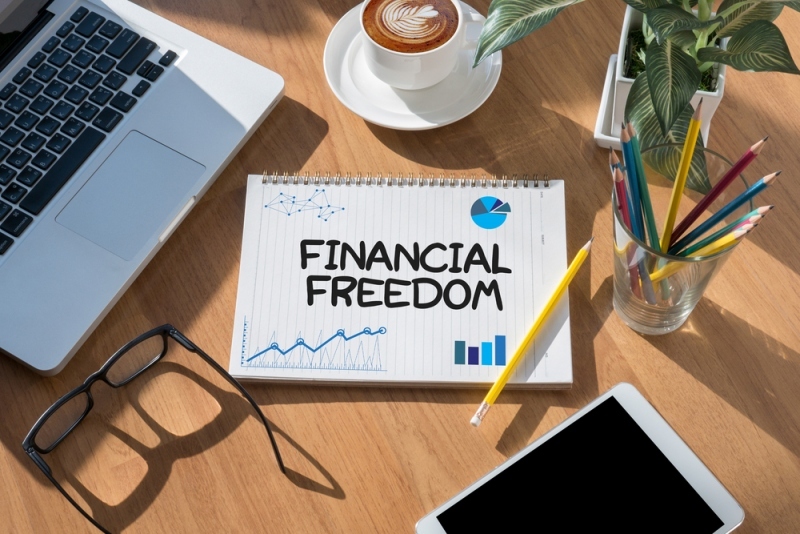 Essentially, financial freedom is about being unrestricted with your time being wherever you want to be doing what inspires you and improves you without having to worry about money to maintain yourself. Take a look at some of our Warrior Trading Reviews and find out how other people like yourself have benefitted from employing the right investing tactics that has helped them compound their wealth.